Firebase is a great tool for getting data from a server to a client. Firebase handles caching, retries, socket management, and all the other unpleasant details of getting data to a client with spotty internet connection. In particular, Firebase is excellent for mobile web and mobile apps. In this article, I'll walk you through using Firebase with Preact, a lightweight React alternative, to build a simple app with server-side rendering. You should then be able to run npm start and run the app. client.jsx is the Preact component. The client-side app in client.jsx is a single Preact component called App. Once transpiled and browserify-ied, the typeof window logic will let the app run when included with a <script> tag. The lastChild bit tells Preact to replace the server-side rendered App component that the server will insert into the body. I got this pattern from this JSFiddle. There's one more subtlety with the App component. 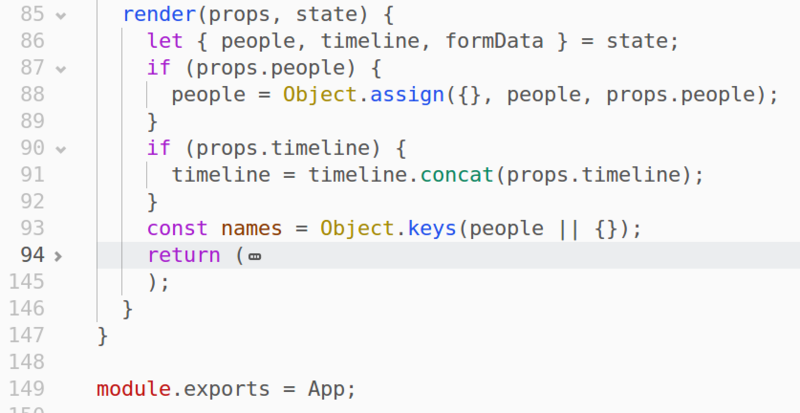 In Preact, the render() function takes 2 parameters, the component props and the state. 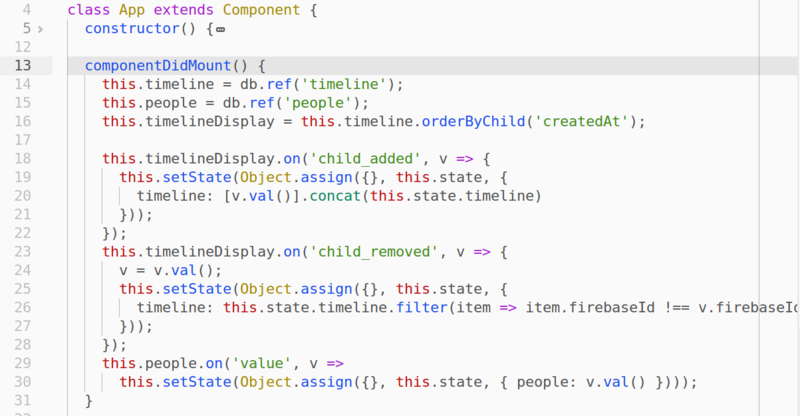 In the browser, the App component will track its internal state using state and setState(), much like React sans Redux. However, the server-side rendering tool I used for this project passes state via props, so render() should handle both. The last step is getting the actual data from Firebase, so we can render real data on the server. Unfortunately, I haven't been able to figure out how to get the Firebase web client working in Node.js. There's the firebase-admin module, but that module comes with its own complexities, so in this case I found the easiest solution to be Firebase's REST API. 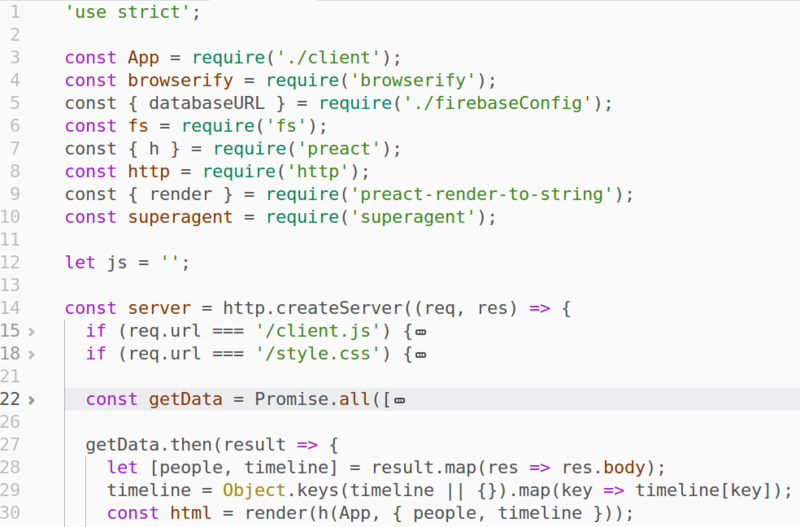 Two simple HTTP requests using superagent and the app has all the data it needs for initial render. And that's a wrap! Server-side rendering sounds intimidating, but all you need to do is load the correct data and render the right HTML. 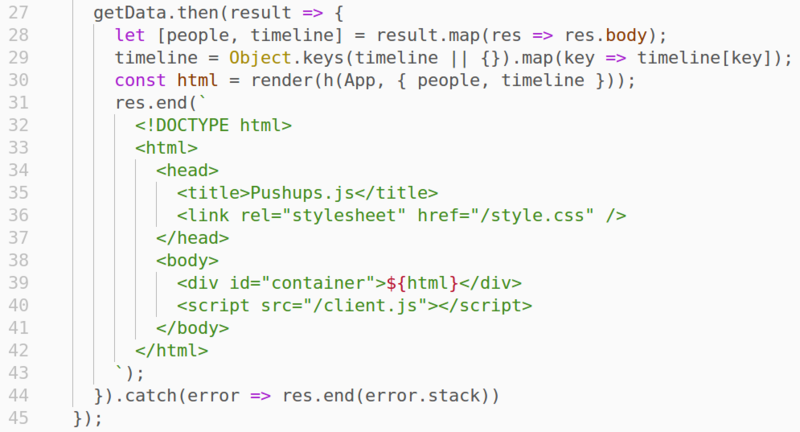 With Preact, preact-render-to-string, and the lastChild trick rendering the HTML is straightforward. 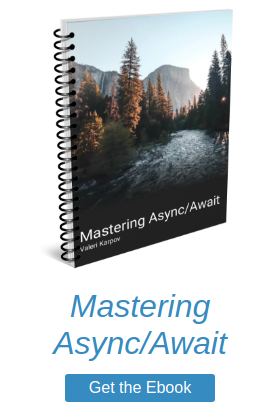 Loading the correct data is the hard part, but if you structure your firebase data correctly you can load the data with one or more calls to Firebase's REST API (or using the realtime connection, if you can figure out how to make that work in Node.js).